Un Destino puede ser entendido como el conglomerado de muchas marcas que representan públicos distintos con intereses diversos. Al modo en el que se establecen las relaciones formales entre marcas se le denomina en marketing ‘Arquitectura de marcas’. Las tres estrategias principales para realizar cobranding son la Monolítica’, la de Respaldo y la Multimarcas. La elección de una estrategia implica que unos intereses han predominado sobre otros en el diseño de la estrategia de gobernanza para el territorio. Aaker, D. (2004): “Leveraging the corporate brand”, California Management Review, 46 (3): 1-18. Blain, C., Levy, S. & Ritchie, B. (2005): “Destination Branding: insights and practices from destination management organizations”, Journal of Travel Research, (43): 328-338. Braun, E. (2012): “Putting city branding into practice”, Journal of Brand Management, 19: 257-267. Cerdá-Bertomeu, MJ. & Sarabia-Sánchez, F. J. (2016): “Stakeholders’ perceptions of place branding an the role of the public sector: An exploratory analysis”, Place Branding and Public Diplomacy. Doi: https://doi.org/10.1057/s41254-016-0016-8. Datzira, J. & Poluzzi, A. (2014): “Brand architecture management: The case of four tourist destinations in Catalonia”, Journal of Destination Marketing & Management, 3: 48-58. Dooley. G. & Bowie, D. (2005): “Place brand architecture: strategic management of the brand portfolio”, Place Branding, 1 (4): 402-419. Florek, M. & Insch, A. (2011): “When Fit Matters: Leveraging Destination and Event Image Congruence”, Journal of Hospitality Marketing & Management, 20 (3-4): 265-286. Forlani, S. A. F. (2016): “The importance of brand architecture in business networks. The case of tourist network contracts in Italy”, Qualitative Market Research: An International Journal, 19 (2). Freire, J. R. (2016): “Managing destination brand architecture- The case of Cascais Municipality”, Place Branding and Public Diplomacy, 12 (1): 78-90. Getz, D. (2008): “Event tourism: definition, evolution and research”, Tourism Management, 29 (3): 403-428. Giannopoulos, A., Piha, L. & Avlonitis, G. (2011): “Destination branding: what for? From the notions of tourism and nation branding to an integrated framework”. 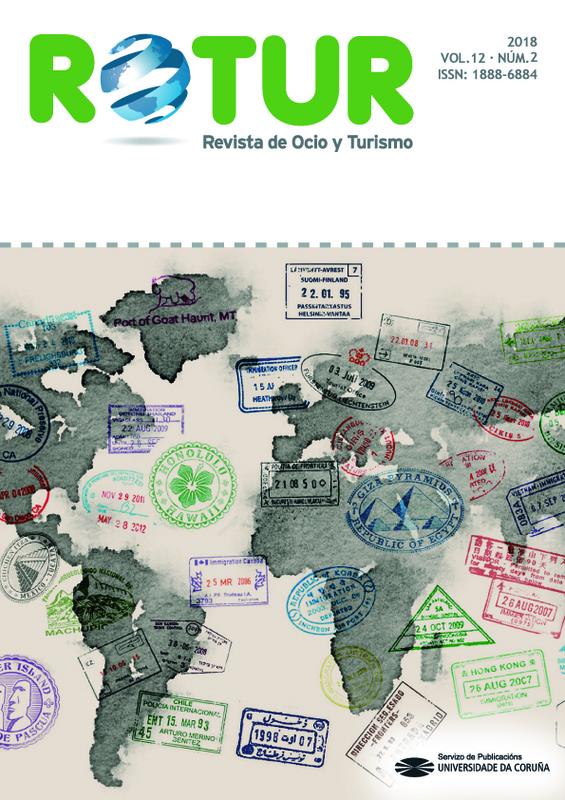 Recuperado el 7 de agosto de 2017 de http://www.academia.edu/498325/_Desti-Nation_Branding_what_for_From_the_notions_of_tourism_and_nation_branding_to_an_integrated_framework. Govers, R. (2012): “Brand Dubai and its competitors in the Middle East: An image and reputation analysis”, Place Branding and Public Diplomacy, 8(1): 48-57. Hall, M. (2010): “Tourism destination branding and its effects on national branding strategies: brand New Zealand, clean and green but is it smart?”, European Journal of Tourism, Hospitality and Recreation, 1 (1): 68-89. Hankinson, G. (2004): “Relational network brands: towards a conceptual model of place brands”, Journal of Vacation Marketing, 10(2): 109-121. Hankinson, G. (2007): “The management of destination brands: Five guiding principles based on recent developments in corporate branding theory”, Brand Management, 14 (3): 240-254. Hankinson, G. (2010): “Place branding research: a cross-disciplinary agenda and the views of practitioners”, Place Branding and Public Diplomacy, 16(4): 300-315. Harish, R. (2010): “Brand architecture in tourism branding: the way forward for India”, Journal of Indian Business Research, 2 (3): 153-165. Hernández, J.M., Duarte, P.A. & Folgado, J.A. (2017): “The contribution of cultural events to the formation of the cognitive and affective images of a tourist destination”, Journal of Destination Marketing & Management. Doi:https://doi.org/10.1016/j.jdmm.2017.03.004. Recuperado de: goo.gl/kM4S77. Fecha de consulta: 11/09/2017. Herstein, R. (2012): “Thin line between country, city and region branding”, Journal of Vacation Marketing, 18 (2): 147-155. Iversen, N.M. & Hem L. E. (2008): “Provenance associations as core values of place umbrella brands. A framework of characteristics”, European Journal of Marketing, 42 (5/6): 603-626. Kavaratzis, M. & Ashworth, G.J. (2008): “Place marketing: how did we get here and where are we going?”, Journal of Place Management and Development, 1(2): 150-165. Kavaratzis, M. & Hatch, M.J. (2013): “The dynamics of place brands: An identity-based approach to place branding theory”, Marketing Theory, 13(1): 69-86. Kerr, G. & Balakrishnan, M. S. (2012): “Challenges in managing place brands: The case of Sydney”, Place Branding and Public Diplomacy, 8 (1): 6-16. Kerr, G. (2006): “From destination brand to location brand”, Journal of Brand Management, 13(4): 276-283. Le Feuvre, M., Medway, D., Warnaby, G., Ward, K., & Goatman, A. (2016): “Understanding stakeholder interactions in urban partnerships”, Cities, 52: 55-65. Linchrou, M., O'Malley, L. & Patterson, M. (2008): “Place-product or place narrative(s)? Perspectives in marketing of Tourism Destinations”, Journal of Strategic Marketing, 16(2): 27-39. Ooi, C. (2010): Branding cities, changing societies. Creative Encounters Working Paper. Copenhagen Business School. Ooi, C. (2011): “Paradoxes of City Branding and Societal Changes.”. en City Branding Theory and Cases, Dinnie. K. (Eds.)pp. 54-61. Pasquinelli, C. (2013): “Competition, cooperation and co-opetition: Unfolding the process of inter-territorial branding”, Urban Research & Practice, 6 (1): 1-18. Qian, M. (2010): “Research and review on Management factors in city branding strategy”, Journal of Chinese Marketing, 3(2), 62-71. Rajagopal & Romulo Sanchez (2004): “Conceptual analysis of brand architecture and relationships within product categories”, Journal of Brand Management, 11 (3): 233-247. Ribero, I. & Sousa, B. (2016): “City marketing and tourism events. An exploratory study of residents regarding the Carnival of Ovar”, International Journal of Scientific & Technology Research, 5(10): 18-21. Richards, G. (2017): “From place branding to placemaking: The role of events”, International Journal of Event and Festival Management, 8(1): 1-20. Rozhkov K. L. & Skriabina, N. I. (2015): “Places, users, and place uses: a theoretical approach to place market analysis”, Journal of Place Management and Development, 8(2): 103-122. Seisdedos G. & Mateo, C. (2010): “Different branding strategies from the use of the territory of origin by commercial brands: the brand-territory matrix”, Journal of Town and City Management, 1(2): 175-185. Simeon, M.I. & Buonincontri, P. (2011): “Cultural event as a Territorial Marketing Tool: The Case of the Ravello Festival on the Italian Amalfi Coast”, Journal of Hospitality Marketing & Management, 20: 385-406. Therkelsen, A. & Halkier, H. (2008): “Comtemplating Place Branding Umbrellas. The Case of Coordinated National Tourism and Business Promotion in Denmark”, Scandinavian Journal of Hospitality and Tourism, 8 (2): 159-175. Trost, K., Klaric, S. & Dropulic, M.R. (2012): “Events as a framework for tourism destination branding. Case studies of two cultural events in Croatia”, Turizam, 16 (2), 65-77. Uggla, H. (2006): “The corporate brand association base. A conceptual model for the creation of inclusive brand architecture”, European Journal of Marketing, 40 (7/8): 785-802. Westerbeek, H. & Linkey, M. (2012): “Builiding city brands throught sport events: Theoretical and empirical perspectives”, Journal of Brand Strategy, 1(2): 193-205. Zenker, S. & Beckmann, S. C. (2013): “My Place is not Your Place- Different Place Brand Knowledge by Different Target Groups”, Journal of Place Management and Development, 6 (1): 6-17. Zenker, S. & Braun, E. (2010): “The place centre- a conceptual approach for the brand Management of places”. 39th European Marketing Academy Conference, Copenhagen, Denmark, 1-4 june 2010. Zenker, S. & Braun, E. (2017): “Questioning a “one size fits all” city brand: Developing a branded house strategy for place brand management”, Journal of Place Management and Development, 10 (3): 270-287. Zenker, S. & Martin, N. (2011): “Measuring success in place marketing and branding”, Place Branding and Public Diplomacy, 7(1): 32-41. Zenker, S. (2009): “Who’s Your Target? The Creative Class as a Target Group for Place Branding”, Journal of Place Management and Development, 2(1): 23-32. Zenker, S. (2011): “How to catch a city? The concept and measurement of place brands”, Journal of Place Management and Development, 4(1): 40-52.